MINSK, January 10. /TASS/. 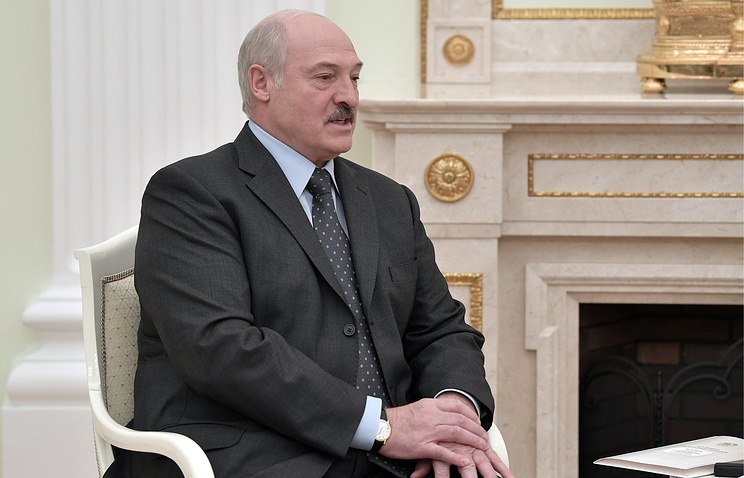 Belarusian President Alexander Lukashenko has said that the issue of unifying Belarus and Russia into a single state is not on the present agenda. “The Russian president and I have stated explicitly that there is no such issue of unification on the agenda,” the BelTA news agency quotes the president as saying at a meeting on the country’s socio-economic development on Thursday. The Belarusian leader noted that a union of Belarus and Russia could only form on an equal basis, adding that this should be the will of both nations. “This is not because Lukashenko wants that, the way Russia presents it. That’s because these are the fundamental principles of forging any union. If there is no equitable basis, then there is no union,” the president explained. Lukashenko emphasized that in order to forge a union between the two countries, it is essential to weigh public opinion. “That’s why, both states’ unification is off the table for a whole slew of reasons, as you understand,” he said. Hey Buddy!, I found this information for you: "Lukashenko emphasizes Russia-Belarus unification out of the question". Here is the website link: https://russophile.org/lukashenko-emphasizes-russia-belarus-unification-out-of-the-question/. Thank you.